A Morning At The Nelumbo Pond | Blackwood Photographic Club of South Australia Inc. This entry was posted on 24/01/2011 by Hoffy. 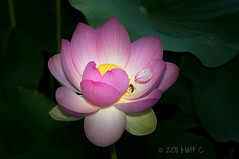 It was filed under Blackwood Photography Club News and was tagged with Adelaide Botanical Gardens, Lotus Flower, Photography, Photography Clubs, South Australia.